City council candidates in Artesia’s upcoming municipal election took center stage Thursday at the Ocotillo Performing Arts Center for an issues-based forum. Each council race this year will be contested, with incumbents running for reelection in three of the four districts. All candidates were asked the same series of questions by moderator Gene Dow, with the exception of one randomly-drawn question per district. Early voting is currently ongoing through March 2 at City Hall. On Election Day — Tuesday, March 6 — polls will be open from 7 a.m. – 7 p.m., and Artesians may choose the voting location of their choice: the Senior Center or Faith Baptist Church. Those unclear in which district they reside can find a map online at artesianm.gov/DocumentCenter/View/304. Incumbent Raul Rodriguez will be challenged this year by Delia Cortez Collier. 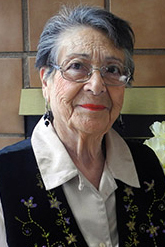 Rodriguez has served on the city council for the past 16 years. Born and raised in Artesia, he graduated Artesia High School in 1978, and he and his wife of 34 years have three children and three grandchildren. Cortez Collier has also resided in Artesia most of her life, graduating from AHS and raising her three children here. She and her husband, former Eddy County commissioner Glenn Collier, are retired, with Cortez Collier having spent 30 years working with three businesses and a variety of local organizations. The first forum-wide question regarded the city’s recent approval of an agreement with the Artesia Aquatic Center Foundation, through which the council pledged to be a contributor to the construction of a new pool complex in the community. The city’s responsibility will concern the running, upkeep and maintenance of the outdoor recreation portion of the center. Candidates were asked what they believe the city’s roles and responsibilities should be regarding parks, recreation, and general quality of life in Artesia. “The swimming pool idea I think is great, I think it will work wonderful,” said Cortez Collier. “At the beginning, everything looks tough, but we all know that you’ve got to try some stuff and there’s always solutions to it. 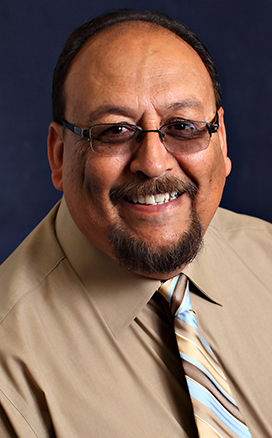 As for other recreational opportunities, Rodriguez said, as a member of the Recreation Commission and the parent of two sons who grew up in local sports programs, he has been a strong advocate for parks and the Artesia Center. Cortez Collier stated she agrees the Center needs expansion or perhaps a larger location, and that new equipment and additional activities are also needed at Artesia’s facilities geared toward senior citizens. Candidates were next asked about their motivation for entering the council race, and whether their decision to run was prompted by a specific issue or concern. “I think it’s a hard job,” Cortez Collier said. “It’s a dedication and there are lots of hard decisions to make because you know darn well that you cannot please everybody all the time, especially if you raise taxes or you have something new coming in the city. Rodriguez said he was always compelled to learn what it takes to run a city and quickly discovered the scope was even greater than he’d assumed. “No. 1, you have to have a budget, and that’s our biggest challenge,” he said. “We can only get so much money, and we have to balance that out. Do we want to have social aspects, do we want to have infrastructure aspects, do we want to have safety aspects. The final set question concerned city ordinances pertaining to unsightly property; candidates were asked whether they felt current ordinances were effective and appropriately enforced, or whether change was needed. Rodriguez pointed out ordinances can always be changed should strong enough opposition be voiced and outlined the monetary losses the city experiences each time they have to take an action such as foreclosing on and condemning a property. “Jessie (Dominguez, code enforcement officer) has a tough job,” he said. “You may get a citation and say, ‘Why didn’t the guy down the street get one,’ well, that’s one person. So you say, ‘Well, hire more people,’ but if we hire three or four code enforcement officers, the budget takes a hit. Cortez Collier said she feels many of the community’s property issues could be solved by people taking pride in their homes. District 1’s candidates were additionally asked how they would assure their constituents they could devote the time necessary to be an effective member of the council. “I can assure you I’ve got the time, I’ve got the willingness,” Cortez Collier said. “I’m not afraid of it, I’m willing, I’m able. I’ve always given to the community and I feel I can still give some more, and I want to do that. “It takes a lot of time, and I’ve devoted a lot of time,” said Rodriguez. “You can judge me by my voting record, judge me by my attendance at meetings. I take great pride in being a city councilor. There are also committee meetings we have to attend, and right now I’m serving on Police and Fire, and Recreation. I have made the time to attend my meetings and have all the proper information so I can make the proper decisions to represent District 1 now and in the future. Current District 2 Councilor Nora Sanchez came out of retirement to fulfill the term of former Councilor Jose Luis Aguilar, who passed away unexpectedly in August 2016. As such, Sanchez will not be seeking reelection. Michael Mondragon was the only candidate to file for the seat in December. 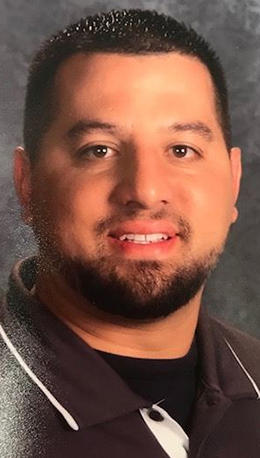 A math teacher and the head boys’ basketball coach at Artesia High School, Mondragon is an AHS grad and former athlete who came back to the community to raise his two young children. “I love Artesia, I love being a Bulldog,” Mondragon said. “I think the main reason I’m running is because I want to bring change, not necessarily to the council — I think they’re doing a great job — but just because I think nowadays in society, everybody wants to complain but nobody wants to do anything, and I want to get involved. 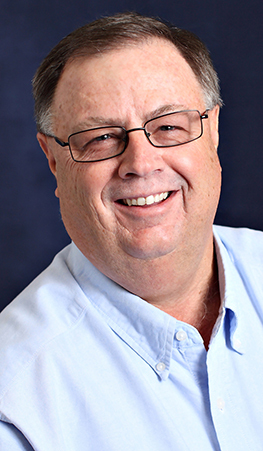 George G. Mullen filed in January as a write-in candidate for the District 2 seat, meaning residents would have to enter his name on the ballot — exactly as displayed above — to cast their vote for him. Mullen, who has four children, also attended school in Artesia, returning to the community after retiring from the U.S. Navy. Mullen stated he understood the partnership aspect of the aquatic center agreement meant the monetary responsibility would be shared among the entities involved, and said that as far as other recreational endeavors were concerned, he would like to see improvements made to the Artesia Center. “The Center is a great place, but I’m in favor of the Center being a better place by enlarging the Center or building another center,” Mullen said. “Recreational activities in Artesia are lacking for young adults and kids in that age group of 12 through 17 or 18. Recreationally, we could do things like boxing clubs, any kind of activity clubs, art training. I think we need to do a little bit more for our young people and our young adults especially. Mondragon said he was pleased with the city’s decision to help fund the construction of a pool, stating it was important for the community to be able to provide swimming lessons for its youth, as well as a place to play. He also expressed his belief the city should play a role in ensuring children have the facilities and programs available to keep them active and learning. “We’re the City of Champions, and our facilities should reflect the City of Champions,” Mondragon said. “If that means finding a way to fundraise, finding ways to get private donors involved, whatever we need to do to do a better job of providing for our youth. Mondragon said one of the primary factors that motivated him to run for council was a desire to make Artesia an even more appealing place for people to live. “I don’t think we do a good enough job sometimes of working together with different entities, whether it be the school system, the hospital,” he said. “If you’re out between 6 and 7:30 in the morning driving to Carlsbad and Roswell, you see hundreds of cars driving into Artesia. Imagine if those people lived in Artesia, what that would do for our Gross Receipts Taxes, for our housing. Mullen said he was motivated by a desire to get things done on behalf of the community. On the topic of city ordinances, Mullen joked he might have to get rid of his weeds before he’d be eligible to comment but encouraged homeowners to properly take care of their properties. “I think the code enforcement individual is doing the job he can do based on what he has to work with,” Mullen said. “You could do a weed review over here on the north side and on the other side do a junk car removal inspection, and by the time you do that one, then the weeds are over here and the junk cars are over there. Mondragon said he would be interested to see what is and isn’t working in terms of code enforcement, and make adjustments from there. He also suggested making more personal contact with individuals in violation and exploring the option of involving the community in its upkeep. “We’ve got a lot of churches in this community who’d love to donate time, basketball programs that can get out there, maybe help the elderly with the weeds,” he said. “It’s all about working together and making this town a better place, and tapping into resources. Money doesn’t have to be the only thing we rely on, let’s rely on each other. The District 2 councilors were asked their opinions of the city’s actions taken following last year’s water woes. “I know several people don’t want chlorine in the water, but I’ll tell you this, businesses were getting killed whenever we had no water,” Mondragon said. “Whatever we need to do to make sure E. coli is not going to be in the water is what we need to do. I know they’re doing their best job to make sure it doesn’t happen, and we’re too good of a town and too big of a town for this to happen to. It’s embarrassing. Mullen said he supported the council’s recent 20-percent water rate increase as a means of funding future infrastructure improvements. “Within our city, we have some very old pipes,” he said. “We have some that’ve been here longer than I’ve been here, and we’ve got to expect for those to begin to deteriorate and possibly cause a problem. If we don’t have some type of program where we begin to replace all this old infrastructure, we’ll have more problems than we had last summer with E. coli. The candidates closed by expressing their desire to be a part of helping the community move forward. “I love this town with all my heart,” Mondragon said. “I moved around a lot as a young kid, I’ve been in a lot of communities, and our community is the best in the country, I believe that. I want to serve it, and I want to work for you to do everything within my power to solve all these issues. District 3 incumbent Allen Kent Bratcher will be challenged on this year’s ballot by Tommy Bailes. Bratcher was born and raised in Artesia; he and his wife returned to the community to raise their children. 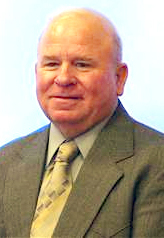 Bratcher has been a member of the city council for eight years. Bailes is residing in Artesia for the second time in his life and said his love of the community drew him back. 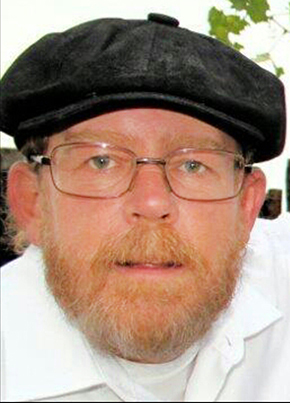 He is a member of the local motorcycle community and said he has been proud to work with CASA, Grammy’s House, the American Legion, Cruising for Vets, and other organizations through motorcycle clubs. “There are a lot of things we do, but there is still a lot that needs to be done, and I think I’m the guy to do that,” he said. And I said, we always seem to – and people use City of Champions – come through in the end. We always come up with the money for the library, the animal shelter, Baish Park, and we do things right and do it in nice fashion. On the subject of quality of life, Bratcher said he would like to see work done to improve existing facilities, such as youth baseball fields, as well as development of new events such as Smokin’ on the Pecos and Balloons & Tunes, which bring revenue to the city. “A lot of the infrastructure in Artesia is old, and we also have to address that,” Bratcher said. “The water fund is a self-supporting fund. They bring money into the city by charging for water, and that helps us update valves, put in new hydrants, run new water. Bailes was also in support of the pool project and said he would like to see the city improve its parks and do more for its elderly. “The kids in this town don’t have enough to do to keep them out of trouble,” he said. “That’s why you have taggers on the sides of buildings, kids out roaming the streets. We have to give kids something to do, and I think the pool is a great start. I work at the hospital, so I’m privy to a lot of the conversations as far as from the rehab side of it and how much it’s going to help them, especially with the elderly and being able to do water treatments. He mentioned gopher holes at Jaycee Park as a problem and also said people in the community need to spend more time with its senior citizens. Bailes said there was no problem with the current city leadership that prompted him to run for council. “It’s just because I’m a community kind of guy,” he said. Bailes said he has spent time organizing events such as a toy run for the New Mexico Christian Children’s Home in Portales. Bratcher said he wants to continue the projects he’s been a part of starting on the council, including infrastructure improvements. “We’ve started some infrastructure issues, such as the water treatment, the building of a new water tower, now we’re in partners with building this pool, we rebuilt 13th Street, and I think I had orange barrel nightmares at one point – there are still projects out there that we’ve got to do, and I’d like to see that come to fruition. Bratcher says he feels the city’s ordinances are working as well as they can but that there is always room for improvement. Bailes agreed with statements made by some of the other candidates as per pride in one’s property and suggestions that groups could be found to engage in abatement efforts. “People just need to start taking more pride in their place,” he said. “Housing here is not cheap. Some people end up buying a place for $30,000, some people end up buying a place for $300,000, the price of that should not matter, it’s your place. Clean up around your area. The District 3 candidates were asked if they had any advice for Raye Miller, who is running uncontested for the position of mayor. “I know Mayor (Phillip) Burch has done a bang-up job for a long time, and I think if he just stays in those kind of footsteps that he’ll be fine,” said Bailes. “Raye’s a very smart man,” said Bratcher. “He’s got a tough act to follow. I think if Mayor Miller will look at his council and see their strengths – there’s people out there that are numbers people, infrastructure people, people who care about public safety – and play to their strengths, and don’t put them on a committee that they really don’t care about. In closing, Bailes reiterated his desire to be more involved in the community, while Bratcher encouraged citizens to continue to become more involved in local government. “I’m big on community stuff,” Bailes said. “I think there’s a chance here and an opportunity with so many people now running for the offices all the way across the board that if there’s something that you want changed, there’s an opportunity to get it done. “Sometimes we get apathetic as citizens, and if you look at some of the numbers, you’ll see things like only 25-percent voter turnout,” Bratcher said. “25 percent of people are making the decisions for the whole town of 11,000. We need to get out there and vote, exercise your right. “I hope that my record of being responsible, being at the meetings, being at the committee meetings, making some of the tough decisions we’ve had to make, stands on its own merit, but again, we need you to vote, and that is the biggest thing. We’ve had public meetings on water where three people show up. And that’s kind of disheartening. We had meetings on 13th Street during the design phase where only five people showed up. 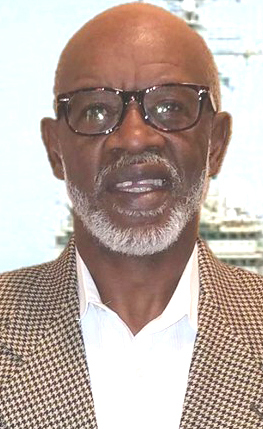 District 4 incumbent Terry Hill was unable to attend Thursday’s forum due to a scheduled surgery. Hill currently serves as Mayor-Pro Tem on the council as well as on the Budget and Finance, Infrastructure and Planning committees. His challengers in March will be Kenneth Hart and Kevin Baggerly. Hart attended Artesia High School and served in the U.S. Navy. 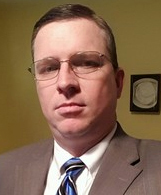 Baggerly graduated from AHS in 1994, where he was the Bulldog mascot, and returned in 1999. 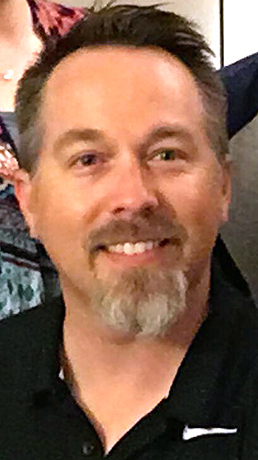 He has worked as manager of the Landsun Theater and director of the Ocotillo Performing Arts Center, and previously worked for KSVP radio. Both candidates were in agreement on the benefits of a swimming complex in Artesia. “I went to some of these recent city council meetings to kind of understand what’s going on with this partnership, and there is this need, I think, for somebody to be in charge of it,” said Hart. “What was decided by this group was ultimately, once everything’s built and everything’s dealt with, that the pool’s going to belong to the city. On the topic of other quality of life improvements, Hart said he hopes to see the city continue to partner with private entities to bring in options, while Baggerly advocated for a dog park and a recycling program. “I think that the city council should be doing is encouraging private enterprise, private people, to come in with activities and things for kids to do, because the city can’t foot the bill for everything,” said Hart. “But what they can do is see if there’s a way we can provide incentive for someone to come in with a program and say the city will make available the recreation center for me or the city will allow me to promote this on their site. “I’m not a big dog person, but I know a lot of people like dogs and there are a lot of dogs who love to walk,” said Baggerly. “A dog park I think is desperately needed here in Artesia. Maybe also, backing up a little bit, make every park in Artesia dog-friendly, with dispensers for little plastic wraps so people can pick up after their dog. Hardt said his primary motivating factor in running for council was to become more involved. “A lot of times when somebody pops up out of nowhere and wants to run for city council or school board, quite often it’s because they see some problem and want to step in and fix it,” he said. “To be honest, I don’t have anything like that. Baggerly said his hope was to help the city develop better communication with its residents. “I think one of the challenges that the mayor and the city council have had over the last year, specifically with water, is communication,” he said. “Letting people know exactly what is going on here in Artesia. I know media sources – the newspaper and radio – notified people there was a boil water alert. In other places like Albuquerque, Hobbs, Roswell, Carlsbad, they made it seem like it was Flint, Mich. They made it out like there was absolutely no drinkable water, which was incorrect. Baggerly extended his stance that the city could do more to communicate with its citizens into the subject of ordinances. “Nobody wants to get that letter,” he said. “Knock on somebody’s door. Work together. That’s the thing about local government, it’s not national or state government. Really, the best form of government is the government you don’t see day in and day out, they’re not in your life every day. Hart said from what he sees around the community, it would appear the city’s beautification efforts are working. “I really don’t see a whole lot of weeds, I don’t see a lot of abandoned cars, I don’t really see a whole lot of dilapidated buildings,” he said. “So as far as whether or not the ordinances are strong enough, I have to say we’re on the right track. Certainly there’s some enforcement going on, or I wouldn’t be seeing that kind of movement. District 4’s random question concerned their level of civic involvement and how they plan to help their constituents. “Ever since I was little, I was in 4-H,” Baggerly said. “4-H teaches you those four H’s: hands, head, heart, health for greater service. Get out in the community, make sure you are participating in some way. “I have, up to now, been locally uninvolved,” said Hart. “But one thing I would like to say is that win or lose with this race, it’s my intent to be more involved moving forward. In closing, the council candidates pledged their commitment to work for Artesia if elected.